There’s no greater love than that between a mother and her child. My five-year-old daughter and I watched the original 1941 Walt Disney classic “Dumbo” just days before premiering the new Tim Burton remake before it hits theaters on Friday. In the original, my daughter found herself loudly sobbing at the scene where Dumbo approaches the train car his mother Mrs. Jumbo is locked in. As the mother elephant reaches her trunk through the jail-like bars to snuggle and cradle her baby, my daughter reaches for me, and I wrap my arms around her. In the original 1941 animation, Dumbo has to overcome ridicule because of his enormous ears. When his mother tries to protect him, she is deemed dangerous and is separated from him. His only friend Timothy, a mouse, helps Dumbo to believe in himself and achieve his full potential – which we learn in the last six minutes of the film, is that he can fly. In the Tim Burton re-make, Dumbo learns to fly rather early in the film. The story isn’t really about an elephant learning to overcome difficult circumstances to achieve his full potential, but rather more like a hostage forced to fly in an attempt escape a corrupt human world and return to his mother. Holt (Colin Farrell) is a one-armed widowed war veteran who lost his lassoing act and is now assigned to the elephants. Milly (Nico Parker), his super smart daughter, who dreams of becoming a scientist and changing the world, and her sweet brother Joe (Finley Hobbins) become Dumbo’s only friends and advocates. Knowing what it’s like to lose their mother, they work tirelessly trying to reunite them – promising Dumbo that if he flies, the circus will have enough money to get his mother back. 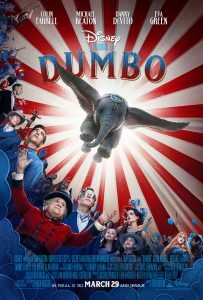 From here, the movie takes a decidedly Tim Burton twist into a darker more complex plot when Max Medici (Danny DeVito), the owner of Medici Circus, decides to capitalize on Dumbo’s fame and partners with the sketchy V.A. Vandevere (Michael Keaton) to bring his circus to the visually stunning, futuristic theme park called Dreamland (strangely much like Disneyland). Even with it’s a complicated and subversive plot, Dumbo is astonishingly adorable with eye-popping visuals that bring him to life. With his warm, bright blue eyes, lashes and bashful expressions, he is delightfully charming and cuddly. I had visions of snuggling him for the two hours of the film until he was reunited with his mama again. 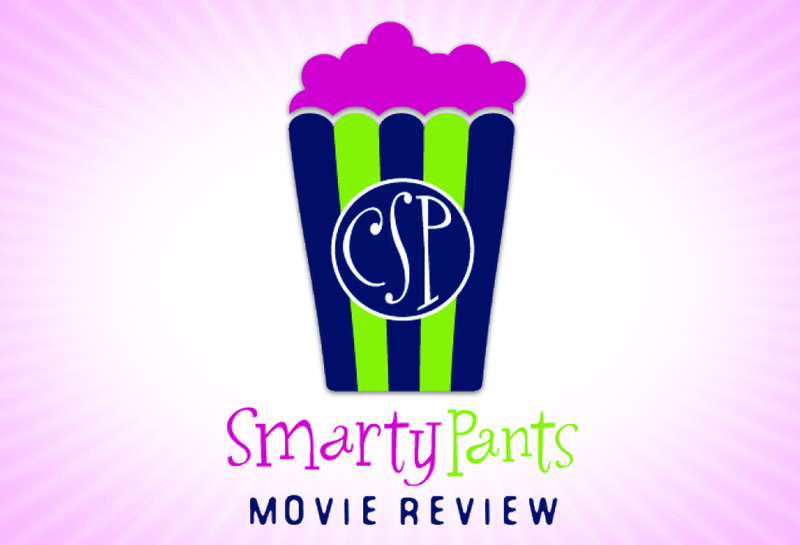 Overall, it’s a good children’s movie. With all the perfunctory Disney messaging: underdogs will be uplifted, a family is what you make of it, it’s okay to be vulnerable, and girls can be STEM-smart. Although I have to say, my favorite messaging of this updated version is that elephants have no place in the circus and they should NEVER be separated from their mamas.